I woke slowly, swimming my way to the surface of a very deep sleep. My limbs felt heavy and I was supremely relaxed. I let the feeling wash over me, luxuriating in it as my mind rediscovered the body in which it lived. I became aware that I was lying on something firm, and warm, not a pillow, it rose and fell ever so slightly, ever so slowly, my right arm flung over it. Then I noticed a weight, wrapped around my torso. I felt safe, drifting on the edge of sleep, the last thing I wanted to do was open my eyes, but the sensible part of me told me I should at least investigate. I sighed and allowed my eyes to float open, taking a minute to focus. Skin. My head was resting on a bare chest, my arm draped lazily across it, just above another, bare arm, which I realised was the weight wrapped around me. The rising and falling was the slow, relaxed breathing of sleep and now that I understood, I could hear a regular heartbeat beneath my left ear. The rough blanket gave me no clue. Then I saw a sword propped against the end of the bed and couldn’t help but laugh. The arm around my waist shifted so fast I had no chance to move, and a hand clamped across my mouth. “Ary, cute as your laugh is, I’m sleeping.” came a deep voice from above my head, amused more than angry. I pushed his arm off me, he seemed in no great hurry to move, and sat up. In one swift motion I grabbed the blanket and, dancing away from the bed, flung it into a corner. Aggrion grunted and shifted the arm that had been around me to rest behind his head, his eyes remained closed, but the hint of a smile played on his lips. I took a moment to admire his well muscled torso as I straightened my robes and pulled on my boots. Shame those leather pants were practically glued on I thought, allowing myself a sly grin. “Gah!” I exclaimed as the headache hit me. “What were we drinking last night?” I groaned, as much to myself as Aggrion. “You’ll just have to get up.” I replied, darting out of the room. I needed something to wake me up, clear my head. I headed out the back door of the silent Inn, into a small square yard. The cold of Dun Morogh hit me instantly and I ran to the shower area, casting a firebolt at the water tank above as I moved. By the time I’d stripped off my robes and boots and was standing beneath the rush of water it was almost too hot. Steam rose around me and I closed my eyes, going over events of the previous day. “It’s been ages since we’ve kicked back and had some fun Aggrion!” I half reasoned, half pleaded. “Hmmmf.” Was the reply. Aggrion was hacking at a target dummy in the great caverns of Ironforge. Aggrion didn’t even look up, just continued to jab, slice and thrust at the dummy in front of him. “Ary.” He looked at me with a weary expression, a slight depth of breath and colouration to his skin the only sign of his sword practice. “It’s Brewfest Aggrion! It’s right outside the city gates. It’s only on for two weeks a year and it’s part of my culture!” I added this last bit in desperation. Of course it wasn’t actually my culture, it was Dwarven and growing up around them had instilled a healthy distaste for most things Dwarf, but with so few records of Gnomish history theirs was the only culture I really had. Aggrion was well aware of this, but I also knew he believed in ceremony. We arrived just in time for the morning “Tapping of the keg” ceremony which had all the pomp and dogma I’d grown up rebelling against. As soon as it was finished I dragged Aggrion off to try Ram Racing, not a sport for the faint hearted! I was winning right up until my ram stopped for a snack at a barrel of particularly juicy looking apples. Aggrion raced past me and across the finishing line laughing so deeply he all but fell off when his mount screeched to a halt by its own apple barrel. We staggered unsteadily around the festival stalls, sampling the many rarely seen brews and delicacies on display. Finally, pleasantly drunk and exhausted, we sat on an outcropping of snowy rock overlooking the collection of tents and stalls. As the sun began to dip behind the mountains, casting a brilliant orange-red glow over everything, the evening’s Tapping of the Keg ceremony played out once again beneath us. After the days raucous behaviour it was nice to simply sit and contemplate the world. Silence was something I was used to with Aggrion so I just enjoyed the feeling of the alcohol in my veins and the beauty of the sun on the snow. The moment was shattered by shouting from below. “Invasion! Gatecrashers! The Dark Iron dwarves are here! Get them! Grab a tankard!”. Aggrion was on his feet in an instant, sword in hand. I rose a second later and forced his hand down with my two. “Look!” I said, pointing at the fight that was breaking out below. No weapons were drawn, the two sides were instead throwing empty tankards at one another. I began to laugh and to make my way down the slope. “Come on Aggrion! Lets join in! We must save Brewfest!” I chanted as I slipped and slid down. Aggrion chuckled, sheathed his sword and followed me into the fray. And it was so much fun. Of course we had to drink whatever was in the tankards before throwing them at our targets, well before the fight ended I was unable to see clearly, let alone be sure my tankard was hitting my target. Maybe that’s why I lost sight of Aggrion, maybe that’s why I missed what happened until it was too late. I heard a yell coming from behind one of the Dark Iron’s Mole Machines, a horrible fear filled shout that was nothing like the good natured banter that had been taking place. Along with most of the other revellers I ran to see what was going on and was aghast to see Aggrion beating one of the Dark Iron dwarves with a bloodied tankard. Two Dark Iron dwarves and a few of the festival goers were trying to pull him back, but I could see the berserker rage had him and I knew they didn’t stand a chance. I noticed the city guards making their way through the crowd and I called to him frantically but he was oblivious. The dwarf before him sagged as he turned on those at his back, the look on his face terrifying, and a desperate plan came to me. I summoned Jhorlia as quickly as I could. “Jhorlia, Aggrion needs our help. Stop the guards now, don’t hurt them, just stop them.” I spoke fast and she took in the scene, a look of concern crossing her normally hard features. She nodded and made her way towards the guards. “Well, hello boys!” I heard her say, cracking her whip. I had to act fast, the strength coursing through Aggrion’s body wouldn’t last much longer and the crowd were beginning to organise themselves. I summoned my magic and pictured the most terrible evils and miseries that I had seen or imagined and sent them racing towards Aggrion. “I’m so sorry!” I gasped as the spell left my lips. The effect was instantaneous. Aggrion, went sheet white and ran. The crowd were dazed, I saw my opportunity and cast again. I let the images flood out from me touching all those around me and the fear and panic spread like wildfire. Complete chaos ensued. 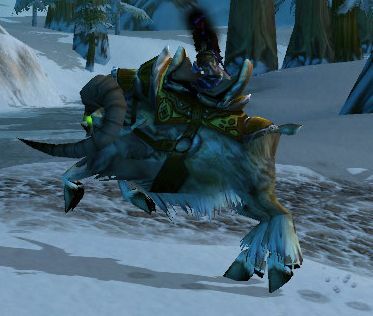 I called Jhorlia and we ran, following Aggrion’s path out of the festival and into the snowy wastes of Dun Morogh. The noise of the panic stricken festival faded until all we could hear was the crunch of snow beneath our feet and the faint crackle of iced trees. I knew my fear spell wouldn’t have lasted long but I had no idea if it would break the berserker rage permanently. Aggrion could have doubled back to the festival or have found someone else to focus his rage on. Luckily the recent snowfall and the rarity of travellers in this area was in our favour and we could make out what we hoped to be his tracks. Even so it took us an hour to find him. He was sitting at the base of a tree, sword in hand, head bowed. I don’t know when Jhorlia left, I think once she saw he was safe. I walked over and knelt in front of him and touched his cold, cold hands. “Yes.” came the reply, but he didn’t look up. “Aggrion, look at me.” The concern clear in my voice. “You’re sorry! ?” His head shot up, his eyes pierced me, reddened from the berserker rage, the fear, the flight, the cold, or tears, I didn’t know which. I flinched instinctively, pulling my hand from his, regretting the movement immediately as I saw the pain flash across is face. “Yes, I’m sorry. I had to fear you, you were out of control, the guards were coming, the people were going to overwhelm you!” I pleaded. I knew he meant the Dark Iron dwarf. What did it matter, we had killed many more in the past, but yes, somehow this was different. Aggrion sighed and lowered his head again. “Will you tell me what happened?” I asked tentatively, finding it harder than ever to gauge his mood. “Yes, I owe you that much at least.” he replied in a flat, emotionless voice. He leaned back against the tree, avoiding eye contact and stared, unseeingly, into the distance, his hands still gripping the hilt of his sword so tightly the blood was fading away from his knuckles. I wanted so much to comfort him, but I felt unsure, he gave the impression of a cornered animal, calm now, but something, anything, could tip him over the edge. So I settled on a nearby fallen branch and waited. I thought he’d changed his mind, when suddenly he cleared his throat and began to speak in the same flat tones. “Long, before we met I was working as a mercenary. I moved from job to job, doing what was needed, helping those I could and I ended up in Ironforge. This was not long after your ancestors had been driven from Gnomeregon and the Third War was still a recent memory. I came across the Thorium Brotherhood and was amazed at their blacksmithing skills. I spent time working with them and had nothing but admiration for their work. They were, at the time, liaising with the Dwarves of Ironforge to protect the city and themselves from further attacks from the Dark Iron dwarves, their less amiable brothers. For the Brotherhood the Dark Irons were a constant menace and most definitely too close for comfort. 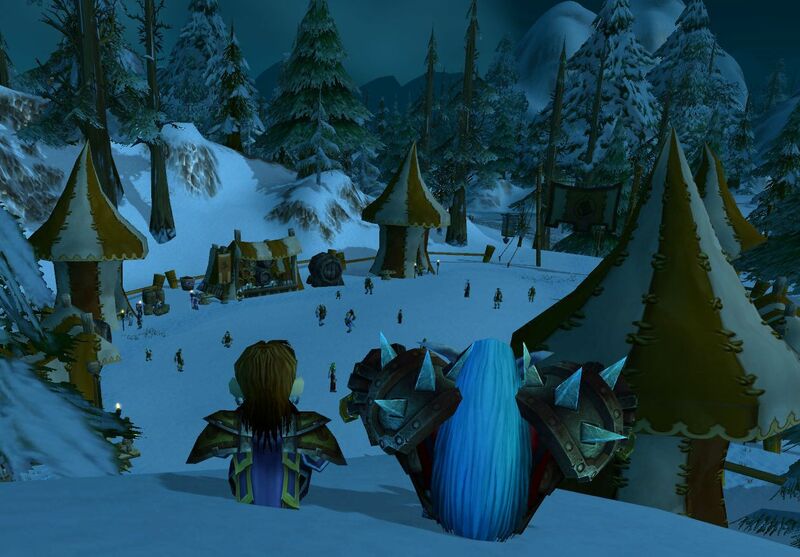 For Ironforge they were an ever-present threat. So they enlisted people like me to make regular trips into the Blackrock Mountain and disrupt the Dark Irons in the hope of delaying, if not preventing, any attacks. Aggrion paused, his eyes flickering to me briefly, but away too quickly for me to give him any reassurance. I stayed where I was, afraid to break the spell, he had never talked about his past like this before, and I longed to hear more. “There must have been an informer. Someone must have told them we were coming. We were deep in the tunnels beneath the mountain, it had been difficult, but we had got through with only minor injuries. Then suddenly we were overrun. Dark Iron dwarves came at us from all angles. They didn’t just attack us, they weren’t just defending themselves. They were rabid, insane…. ….I, I, can’t describe it. I’m not sure I can even think about it enough to do so.” He looked at me, his eyes pleading. “Ary, they ripped the group apart. I don’t mean figuratively, I mean literally. Limb from limb….I fought as long as I could then myself and five others ran. We were cornered….” he trailed off into silence, shaking his head as though to dislodge the memories. “I came to barely able to breath, suffocated by a pile of bloody bodies. I have no idea how long I was unconscious for, nor how long I lay there listening before I slowly dug my way out of the twisted corpses of my friends. I don’t know how I made it out alive. Maybe their guard was down, maybe we had made it closer to the exit than we had realised, but eventually I stepped into the sunlight of Searing Gorge and made my way to the Thorium Brotherhood camp. They took me in and cleaned me up. I think I was with them for months rather than weeks. But its a strange time for me….” he trailed off again. “I can’t begin to imagine Aggrion.” I didn’t have the words to express how I felt, to comfort him, to heal this pain. I was suddenly overwhelmed by how little I truly knew this Elf, by what horrors he’d experienced in his long long lifetime. “We all have dark times and light times Ary, and we deal with them. I thought I had put this behind me. But something snapped today at the festival, I was surrounded by Iron Dwarves and the laughter suddenly sounded to me like screams for help. I was back there, under Blackrock Mountain, I was there with the people around me dying and I had to do something this time. I had to.” His voice cracked and he bowed his head. I couldn’t stop myself, I ran to him and flung my arms around his broad shoulders, burying my face in his neck. “It’s okay Aggrion, I’m here, you’re safe, it’s okay.” To my surprise he didn’t shrug me off, he seemed to sink into my arms, to let me hold him, and that is how we stayed for a long while. Eventually I managed to persuade him that we couldn’t stay out all night and we walked to the nearest inn. We drank and ate and took a room as though it was a normal night. He barely spoke for the rest of the evening, not so unusual. We were drunk and tired and fell into bed gratefully. “Ary? Ary are you awake?” Aggrion whispered. “Come here.” And he gathered me close, and I fell asleep listening to the sound of his heart beating. The cold water made me gasp and I stopped the flow, wrapping myself quickly in my cloak and dressing as fast as possible. The other inhabitants of the inn were stirring and when I stepped back inside Aggrion waved me over to to a table in the corner. “I ordered breakfast.” he said. “Thanks” I sat down. Knowing that things would be exactly the same as always and yet never the same again.